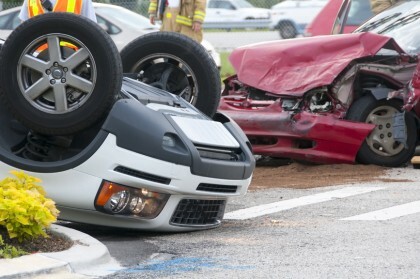 Although any traffic accident can be damaging, rollover accidents can be catastrophic, if not deadly. And, in many cases, some form of negligence contributes to these crashes. Revealing more about the causes and impacts of rollover accidents, below, we have pointed out some of the more important facts about these collisions that drivers should know. Rollovers contribute to about 35% of all traffic-related deaths – This means that, annually, about 7,600 people are killed in rollover accidents. In nearly 70 percent of these fatal rollovers, the people who were killed were reportedly not wearing seatbelts at the time of the accident. Close to 85% of rollovers are single-vehicle crashes – In other words, the vast majority of rollover accidents only involve the vehicle that rolls and crashes. Interesting, statistics have also revealed that about 9 in every 10 rollovers occur while drivers are engaged in “routine” driving behaviors (like driving straight or turning on a curved road). This combination of findings has led federal regulators to believe that, in most rollover accidents, driver behaviors are a significant contributing factor to the accident. Speeding & intoxication are often factors in rollovers – Actually, while speeding has been found to be a factor in about 40 percent of all deadly rollovers, alcohol impairment has been discovered to contribute to approximately half of all fatal rollover accidents. Tragically, this finding underscores the point that, if drivers were more careful and sober behind the wheel, a significant number of deadly crashes could be prevented each year. Vehicle-related factors can also contribute to the risk of rollovers – As regulators have noted, rollovers commonly result from the complex interaction of factors, including driver behavior and driving conditions. And the vehicle a motorist is driving can greatly impact just what the driving conditions are. In fact, when vehicles are taller and have higher centers of balance, they will be more likely to roll in the event of a crash even if motorists are sober and/or are compliant with speed limits. If you have been hurt in a rollover accident that may have involved negligence, you can rely on a Portland car accident lawyer at the Savage Law Firm for experienced help and aggressive legal advocacy. Since 1977, our lawyers have been devoted to providing each of our clients with personal attention, respect and the highest quality legal services, and they are ready to put their experience to work helping you. To learn more about our legal services and what we can do for you, call us at 503-222-0200 (in Portland) or at 206-957-7272 (in Seattle). You can also email us using the form on this page. We represent clients in communities in both Oregon and Washington from our offices in Portland and Seattle.